Changing Room & Meeting Areas. Physical and mental growth by various activities and programs. Players will gain from the variety of sports amenities available and can enjoy training on facilities used by some well known professional teams. Playgrounds maintained to a very high standard. Matches will usually be played out on grass pitches, but the use of artificial surfaces is in our future plan, we can train when the weather is not so good, meaning come rain or shine we can always get to work and enjoy our football. Staying in top shape is a very important part of the life of a professional footballer, as it is with all athletes. 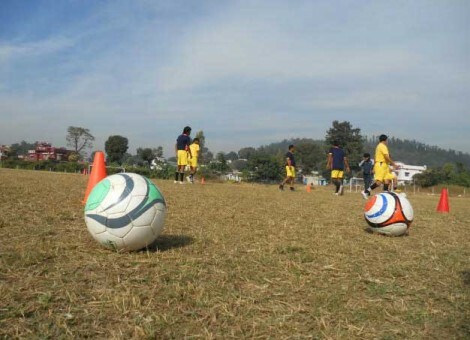 For that reason our physcial conditioning and strengthening programme is designed around football oriented tasks and is carried out at the academy house. All players will benefit from access to the Physical training programme as it is there in the house whenever they want to use it. Physical training programme is designed by football fitness experts and is aimed at getting each individual match fit as quickly as possible. It is also perfect to get injured players back fit. Players however will arrive at the football academy with differing levels of fitness and physical capability, meaning the programmes will always be individually tailored to suit your needs. Many players have come to the academy and left looking great, feeling fitter and stronger. 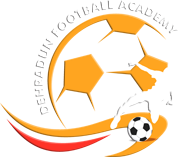 Academy buses pickup and drop players from specified locations in Dehradun city and en-route, on payment of a nominal fee. Buses will also be used take players to matches and tournaments as well as the several arranged excursions planned throughout the year for the enjoyment of the players.